By now you’ve come to know the wines of Grand Napa. This winery has made more than 20 appearances on our pages since we first featured them in late 2015. Always, their wines are very popular and we field plenty of Operative requests for more. 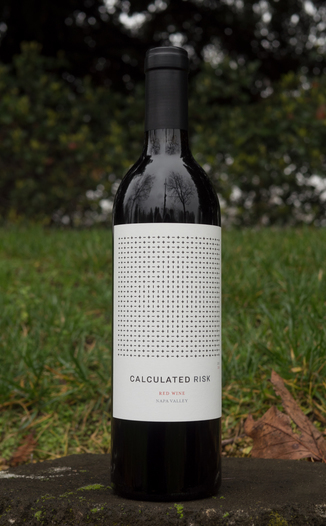 Today, we are very happy to present to you their latest label, Calculated Risk. These are wines that are sourced from vineyards that cannot be disclosed. Vineyards whose wines are almost always priced at $100 or more. We’re so good at keeping a secret that Grand Napa trusted us with this new label. Our discretion is your great reward. Today’s wine is an Ultra QPR (Quality to Price Ratio) treat that’s 100% Napa Valley fruit. The wine is a nice dark garnet that allows only a tiny amount of light through. Aromas of potpourri and blackberry are found up front on the nose, along with alfalfa, plum preserves and toasting pumpkin seed. The palate is a different story, with the Merlot clearly taking center stage - flavors include white pepper, brown spice, fig, plum compote and leather. This is a layered red blend that is multi-faceted, concentrating on the tip of the tongue, top of the palate and the back of the throat. A smooth finish brings it home. The wine would pair well with a hearty split-pea soup made with the ham hock. 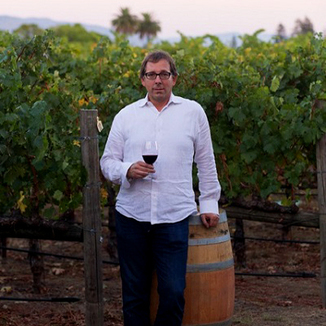 94 Points - Chris Sawyer - “In Napa Valley, each harvest comes with its own level of risks and rewards. 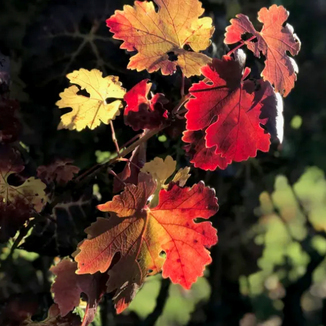 An excellent example is the 2015 vintage, which will be remembered for producing a myriad of high quality wines that were limited in volume due to lack of rain earlier in the year. 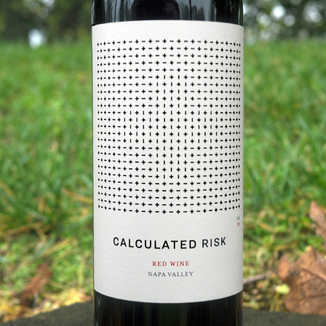 As a result, the relatively small size of the harvest gave talented winemaker Dwight Bonewell more time to select the best barrel lots he used to craft this expressive new Bordeaux-style release from Calculated Risk. In contrast to the Cabernet Franc-dominated blend from the 2014 vintage; this stylish new gem is composed of 72% Merlot, 18% Cabernet Sauvignon and 10% Cabernet Franc. With an alluring dark garnet hue, the wine features attractive aromas of ripe red fruits, wild berries, black fig and fresh sage are layered with subtle nuances of spice and toasted nuts. As the wine opens up in the glass, the gracious flavors of dark cherry, ripe plum, blackberry, raspberry coolie, white pepper and bittersweet chocolate are balanced with a smooth texture, silky tannins, bright acidity, and a rewarding finish that makes every sip count. Elegant, complex and drinkable when young, this is an outstanding wine that over-delivers for the price. Nice dark garnet that allows only a tiny amount of light through. Potpourri, blackberry, alfalfa, plum preserves, and toasting pumpkin seed. White pepper, brown spice, fig, plum compote, and leather. This is a layered red blend that is multi-faceted, concentrating on the tip of the tongue, top of the palate, and the back of the throat. A smooth finish brings it home. The wine would pair well with a hearty split-pea soup made with the ham hock.